Formerly known as Lion Stars, bus operator Billion Stars Express located at Prangin Mall on Jalan Lim Chew Leong in Penang have been serving many great routes over the years in service. The bus company have made a name for themselves with their ability to provide comfort and safety to their customers who are travelling near or far. If you are looking for a reliable bus operator to take you to your next destination, buy Billion Stars Express bus tickets online now through Easybook for a faster and less painful process. They have continuously cover trips for the people in the Northern region in Peninsular Malaysia. The more popular routes with Billion Stars Express are buses from Sungai Nibong to Ipoh, Kuala Lumpur, Selangor, Kuala Besut, Johor Bahru, Singapore, Hatyai and many others. You can find out if your desired destinations use Billion Stars Express when you log on to the website or use the app to make a booking with Easybook for a bus ticket. 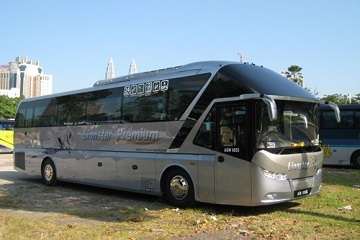 Billion Stars Express bus is also planning to spread its wings by reaching out to Melaka in the coming future as well. It is important for Billion Stars Express to ensure their coaches are well-maintained at a high standard to provide their passengers a comfortable and safe journey to their destination. With their degree of assurance, they are able to gain a great customer loyalty with the people that have been using their services for many years now. You know you can put your trust in Billion Stars Express bus to arrive on time at your pick-up point to provide you with friendly staff member and reliable drivers to make sure you get onboard and arrive at your drop-off point safely. These are just some of the factors that make them so popular within the bus industry in Malaysia as they believe that their customers are the reason they are able to stay in the business for as long as they have. Billion Stars bus comes with charging ports that are proved to be useful in this day and age so your devices are in full power mode to get into action when you have arrived at your drop-off point. On top of that, Wi-Fi is also provided in order for you to be able to catch up on the latest news and updates via social media or just to watch the latest music videos you have been missing out on. Please note that there would not be any meals provided on the Billion Stars bus, so make sure you have a good meal before boarding. Both single and double deck buses are available when you book your bus tickets online with Billion Stars bus. The single decks come with 27-seaters, 30- seaters and 44-seaters, while the double decker bus come with 45-seaters on them. The seats on the bus are promised to be spacious leg space and build with efficiency in order to give you a comfortable ride with Billion Stars Express. 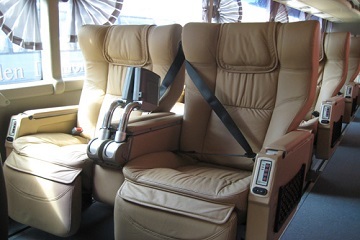 Recline back on the pleasant seats that you have booked and enjoy the cooling sensation through the air-conditioning systems that are installed on each bus in this warm Malaysian weather. If you are planning to travel anywhere from Penang in the future, then Billion Stars Express would be your choice for a memorable ride to start your new memory. You do not even have to leave your house to purchase the bus tickets these days because all you need to do through Easybook’s website or mobile app made so easily for you to use. Have a great trip with Billion Stars bus! Unit G-14 Prangin Mall, Jalan Lim Chew Leong, 10100 Penang.